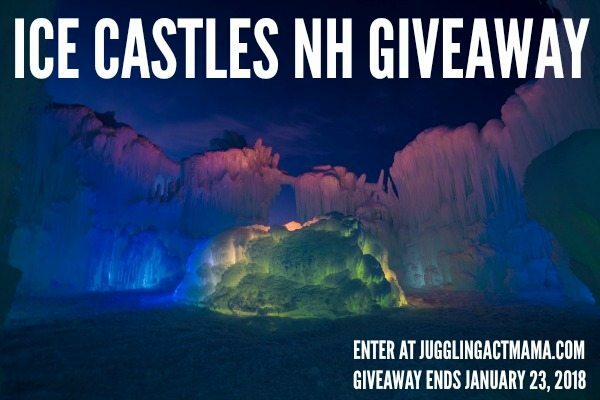 Enter for your chance to win the NH Ice Castles Giveaway and experience the magic yourself! The very first Ice Castle was built in Alpine, Utah, in the front yard of Brent Christensen. He was building an ice cave for his daughter and that is how the Ice Castles concept got started. 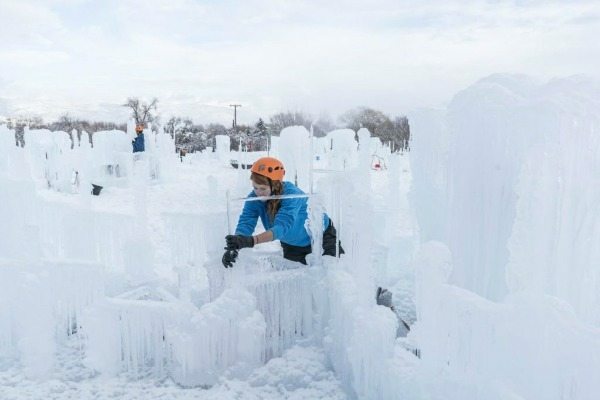 Now Ice Castles are built in Utah, Colorado, Minnesota, and New Hampshire. There are also two locations in Canada. The crews grow roughly 10,000 icicles every day and place them throughout the Ice Castle to provide something for the water to freeze to. Over time the icicles just get absorbed into the ice structure. Each of the Ice Castles is a little over an acre, is all one giant piece of interconnected ice, and weighs more than 25,000,000 pounds! 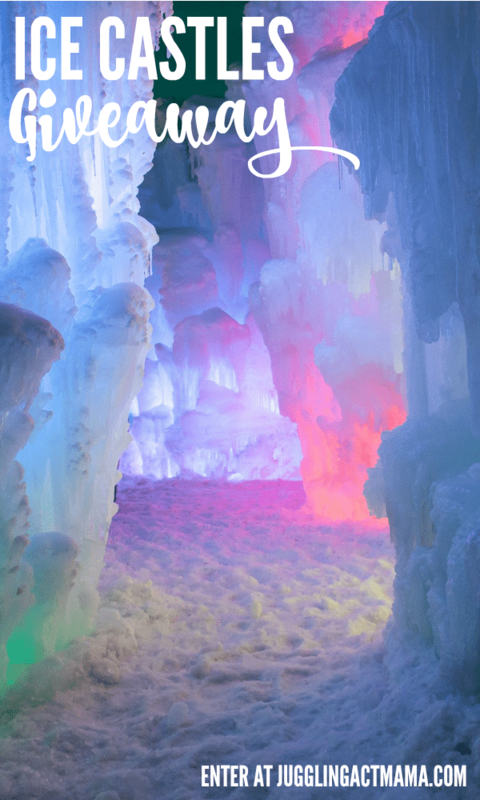 Visit the Ice Castles website for more information and to buy tickets. 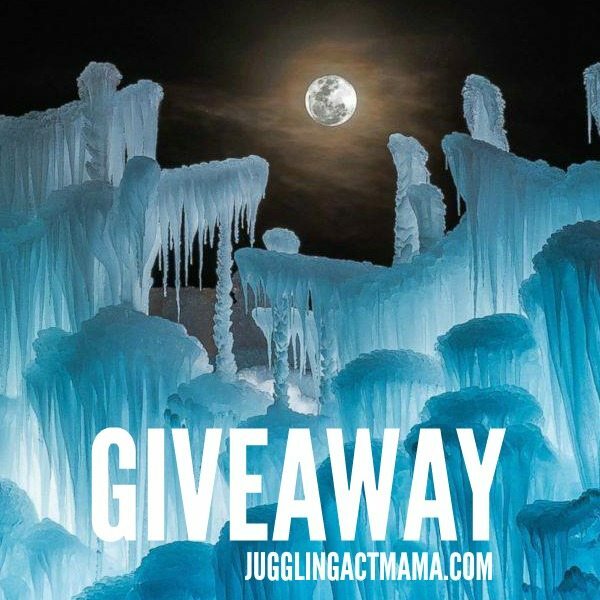 Official Rules and Conditions for the NH Ice Castles Giveaway: One winner will be receive (4) Tickets to visit the NH Ice Castles in Lincoln, NH. Open to US residents to adults 18+. One (1) winner will be chosen. Prize must be claimed within 48 hours of announcement or a new winner will be drawn. Prize will be delivered electronically. All entries will be verified. This giveaway is in no way associated with Facebook, Pinterest, Twitter, Instagram, Rafflecopter, or any other entity unless otherwise specified. Giveaway ends 1/23/2018. Enter using the widget below.